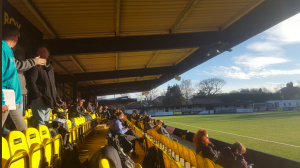 A beautiful, crisp, morning heralded the forth annual Sports Recruiting USA Showcase event, which takes place on the state-of-the-art 3G surface at Harrogate Town’s CNG stadium, in early December. 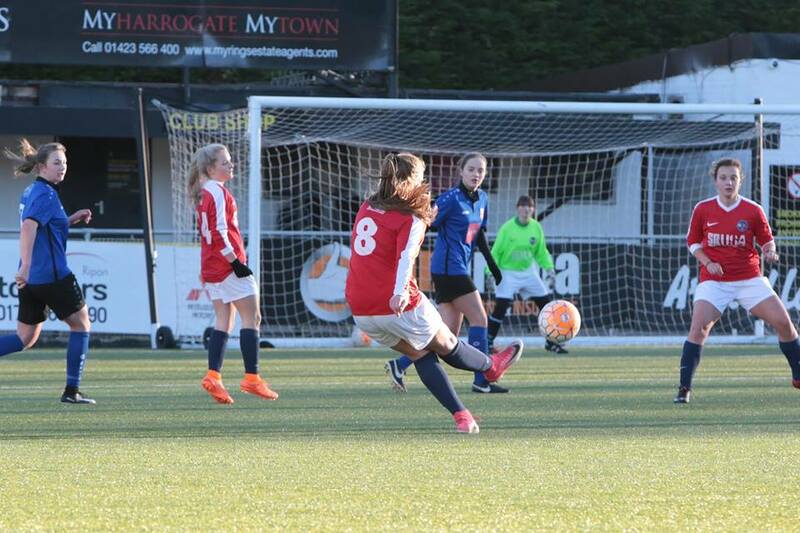 With significant snowfall throughout the UK in the days leading up to the event, and many games across the country postponed due to the weather the day before, it was great to see so many talented players brave the elements and make it to Harrogate. She Kicks was also delighted to be invited to pop along to witness the action in the winter sunshine. The showcase event is always the pinnacle of the year for our players, who have the opportunity to play in front of a large number of coaches that have flown over from the U.S. to watch the girls in action. With three squads of 14 players taking to the field, and around 40 coaches in attendance, it promised to be a great day and a fantastic opportunity for players to impress. With a number of youth and full International players involved, we welcomed coaches from across the USA, from San Francisco in the West, Texas and Colorado in the Mid-West, New York and Boston on the Eastern seaboard, then down to Florida in the South. Coaches in attendance represented colleges from the very highest level to smaller junior colleges, providing the widest possible coverage of the USA Collegiate system. 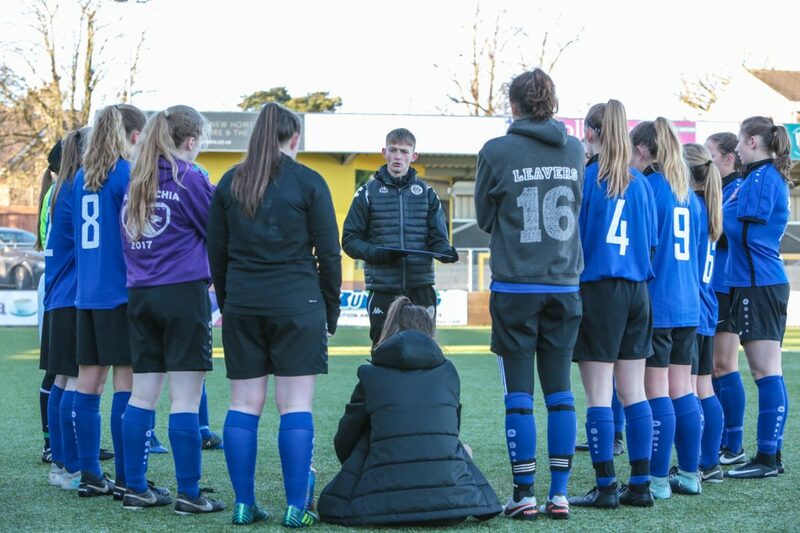 The day itself was led by UEFA qualified coach, Jodie Whitford-Stark who was helped by former All-American and current professional Leah Galton, who has been playing for Sky Blue in New Jersey in the NWSL. Leah was able to pass on her invaluable experience of her time as a student athlete to the players in attendance. We are proud to have Leah as an ambassador at SRUSA and along with another former NCAA All-American in Jade Pennock, they are in regular attendance at our trial events throughout the year. The day itself comprised of three teams playing six, 30-minute games. The quality on display on the day was exceptional, and we were extremely proud of all the players that were involved. Outstanding goals, great awareness on the ball, fabulous technique, and outstanding defending, all contributed towards a fantastic afternoon’s football. The feedback received from the visiting coaches could not have been more positive. After the event, players were given the opportunity to speak to coaches, with a large number of players receiving interest. This was an ideal opportunity for the players to ask any questions about college and university life and to understand the expectations associated with being a student athlete in America. Several coaches commented on the credibility that SRUSA has within the soccer coaching fraternity in the USA. The main reason for this is the consistent, high quality of athletes that the company put forward for USA Scholarships, covering a variety of different candidates, playing at different levels. 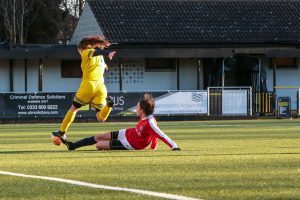 One of Harrogate Town’s very own, Chloe Bellerby, will be studying and playing football in the USA next year and Mollie Rouse, an England U-20 international, currently plays for Louisville University in the ACC and was part of the team that won the U20 Nike International Tournament in Florida. Monday 12th February – Trial Event: Balby Carr Academy, Doncaster. Saturday 17th March – Trial Event: Westfield Academy, Watford. TBA April – Trial Event. Cardiff, Wales.